World Conference on Science - Budapest, Hungary - 26 June - 1 July 1999. The term 'science' will be used in this paper in the Anglo-Saxon sense of 'natural science,' taking note of the fact that in some languages the homologous term refers to all areas of learning. Science in this narrow sense includes mathematics, physics, astronomy and cosmology, chemistry, biology, earth sciences, and the environmental sciences. Medicine is also included because of the very close contacts between contemporary science and medicine. Technological disciplines also depend on the natural sciences to a substantial degree. In addition to their specific know-how, they use scientific knowledge in order to realise their objectives. The term 'social sciences' will be used to refer to psychology, sociology, linguistics, economics, and related disciplines. Some of their methods are identical with those of the natural sciences and some are different because of their specific subject matter. Both the natural and the social sciences can be roughly distinguished from the humanities (history, philosophy, literary studies, etc.) in their employment of empirical methods, with the exception of mathematics, which is included with the natural sciences mainly for historical reasons. No value judgments are implied by these distinctions. During the 20th century, and especially over the last few decades, scientific research has greatly increased our understanding of the fundamental constitution of matter, the origin of the universe, the evolution of life on Earth, the structure and function of bio-molecules and much more. At the same time, the progress that scientists have made has provided unforeseen power, which enables us to change our lives, our future, and our world. The great benefits that science has offered should not make us forget that this power can also have negative consequences. It is a factor that has contributed to the damage to the Earth's natural environments and it has been used to construct weapons of mass destruction - reminding us that with power comes the responsibility to use it wisely. At the dawn of the 21st century, science finds itself in a challenging situation. Today, there are more professionally trained scientists alive than in all previous generations combined together. At the same time, due to the end of the cold war, military-industrial complexes and their scientific cadres are declining as a consequence of economic conversion to civilian industry. This frees up resources with which some of humankind's most pressing challenges could be addressed; such as food supply, public health, global climate change, or the protection of biodiversity. The globalisation of markets, production, and finances may lead to a shift from national research and development priorities towards a world-wide network of research activities, calling existing state-led research infra-structures into question. The imperative of competitiveness in the globalised economy may threaten scientific research in which provides little or no short-term economic returns. Universities are being requested to seek more co-operation with private-sector industry. Due to economic competition, the free exchange of scientific ideas, data, and research materials has come under pressure. By contrast, large-scale research programs which require international co-operation, as for example in high-energy physics or the large environmental programs, increasingly defy a purely national research focus. In the global community, countries and regions greatly differ in their degree of both scientific development and industrialisation. At present, less developed and less industrialised countries are not sufficiently integrated in the international scientific community and dedicate very few resources to science and technology on a national basis. Well-educated people are seeking to pursue careers in universities or industry in the industrialised centres of the North, which, from the perspective of the less developed countries, constitutes a loss of one of the most precious resources urgently needed for their development. Women are under-represented in the scientific community especially at the senior levels. To a large extent, women are also excluded from decision-making in science and technology policy, which frequently affects their lives differently with respect to men. Furthermore, a large number of women, especially in less developed countries, have no access to the scientific culture which would allow them to partake in the practical and socio-economic benefits flowing from scientific and technological advances. In the industrialised countries, there has been some decline in public confidence in science as a model of human reason and a major source of progress. This phenomenon cannot be simply attributed to public ignorance or scientific illiteracy, but should be taken to indicate that scientific experts too often fail to exercise their democratic responsibility in securing public consensus when making consequential decisions, for instance those involving technological risks. Public scientific literacy needs to be improved precisely in order to democratise the decision-making process in science and technology policy in all countries alike. These developments call for a revision of the traditional science-society contract. The commitment of all nations to scientific research and education must be renewed in order to put science to its best use in achieving global sustainable development. The UNESCO/ICSU World Conference on Science (WCS) presents a unique opportunity to co-ordinate national and international efforts to meet these challenges in a world which will continue to look to science, even if not exclusively so, for enlightenment and for improvement of living conditions on this planet. The present document is intended to serve as a background to Forum I and II of the WCS. In the first chapter, some of the most important scientific achievements of the past 50 years are reviewed with an eye towards the 21st century. The rest is structured according to the plenary sessions of Forum I and II. They also include material on the various topics to be discussed during the concurrent meetings. The second half of the 20th century has witnessed a spectacular explosion of scientific discoveries and technological innovations which are frequently closely interconnected. Many natural phenomena, ranging from the subatomic to the cosmic scale, are far better understood today than they were 50 years ago. A substantial portion of this knowledge is technologically exploitable and/or directly relevant to important policy issues. This chapter gives a brief survey of some of the most spectacular and influential scientific discoveries and technological innovations of the last 50 years. Because the growth of scientific knowledge during this period has been so enormous, this short account has to be selective. The following survey concentrates on those scientific advances which have had, and continue to have, the greatest impact on humanity; our world-view, technology, the environment, and public health. Mathematics differs from the other sciences in that its subject is not nature. Progress in mathematics is usually not directly perceived by the public as its results are believed to be so abstract and remote from every-day experience that they are difficult to understand. However, occasionally some mathematical news becomes visible to a broader public. One example is the application of large prime numbers for encryption purposes. Sometimes a result in pure mathematics also catches public attention. An example is the recent proof of Fermat's last theorem, which although simply stated, resisted the best efforts of mathematicians for more than three and a half centuries. But mathematics is more than just peculiar theorems and occasional popular achievements. Because of its precision and rigour, it is an important tool for all of the sciences. There are many examples from the history of science in which the development of new mathematical methods, or an ingenious application of existing tools, allowed scientists to formulate fundamentally new theories and to achieve revolutionary conceptual breakthroughs. One of the most spectacular cases in this century was Einstein's use of the non-Euclidian geometry developed by Riemann in the 19th century for the formulation the general theory of relativity. The last part of this century has seen spectacular advances in mathematics, especially in the theory of dynamical systems and in stochastic analysis. A blend of analytical and geometrical ideas has been characteristic of these developments. One example is the use of diffusion-reaction equations to understand biological pattern formation. Another feature of this development is the extension of mathematical theory into the domain of non-linearity. An important example is the advances in our understanding of turbulence, in particular in the context of weather forecasting. At mid-century, mathematics was caught up examining its own foundations. Today we see a different trend, which is strongly influenced by recent advances in computing technology. Mathematical modelling, the development of algorithms, and scientific computing have become tools of remarkable versatility for all the sciences. They promise to play a crucial role in future progress. Over the last 50 years, our knowledge about elementary particles and their interactions has advanced tremendously. Before the end of the Second World War, a few particles were known, but there was no systematic theory explaining their diversity and their properties. In spite of the advances made in the 1930s, even nuclear physics was still in its infancy in many respects. Nothing was known about the constitution of neutrons and protons. Measuring instruments were extremely coarse and limited in their measuring range. In the past 50 years, a whole 'zoo' of new particles has been detected, some of which are extremely short-lived. In order to investigate such particles, they are accelerated and smashed into other particles. The development of new particle accelerators operating at much higher energies was a crucial factor in the rapid advances in particle physics. In order to track particles before and after their interaction with other particles, the bubble chamber was developed in the early 1950s. Other types of detection instruments like the spark chamber or the multi-wire proportional chamber were developed and later refined. In order to detect and measure neutrinos, which hardly interact with matter at all, huge tanks were built deep underground in order to screen off all unwanted radiation. Theoretical physicists have made substantial progress in uncovering the principles governing their interaction. In the early 1960s, the theory of quarks was worked out. It can explain many of the regularities among the heavier particles. Perhaps most importantly, the new ordering principles included new conservation laws which, for various reasons, are believed to be the most fundamental in physics. In addition, theoretical unification has reduced the number of fundamental forces. Another breakthrough was the experimental demonstration of the existence of antimatter. Antimatter and matter rapidly disintegrate into pure energy when brought into contact. This was predicted on theoretical grounds and provides evidence supporting current theories of the fundamental laws of nature. It should not be forgotten that in spite of the progress in fundamental physics, there is still a large gap in our knowledge - a gap which needs to be filled. The two main pillars of 20th century physics; quantum mechanics and Einstein's general theory of relativity, are mutually incompatible. Their compatibility is absolutely essential for a consistent physics which is a goal driving further theoretical progress. This goal can only be reached by changing at least one of these theories in a substantial manner. No one really knows where this predicament may lead. One can only speculate as to whether string theory, or some descendent of it, will provide a solution. 20th century physics has had a tremendous technological impact. In the aftermath of the development of the atomic bomb, and as a consequence of the increased knowledge of nuclear physics, reactors were developed to produce electric energy by utilising the heat produced in nuclear fission reactions. From the 1950s on, this peaceful use of nuclear energy has been adopted around the world. Many industrialised countries and some developing ones now use nuclear energy for electricity production. The future of nuclear energy, however, appears somewhat uncertain as disillusion with nuclear energy has become widespread because of the potentially dangerous radioactive waste it produces. Further developments in nuclear physics include the production or detection of new elements, above and beyond the ones already known. Giant steps in research into the very small were made by fundamental work in electron optics. This led to the design of the first powerful electron microscope in the early 1950s. It was followed by the field ion microscope and the scanning electron microscope. High resolution electron microscopes provide an insight into the atomic structure of solid matter. In the 1980s, the scanning tunnelling microscope was invented. This prototype scanning probe microscope led to the development of instruments that allow single atoms to be visualised and manipulated. A new area of technology was born. Superconductivity was discovered as early as 1911. At extremely low temperatures, certain materials lose all their electrical resistance. They can thus conduct electricity without the slightest loss. It is quite obvious that this phenomenon has a host of potential technical applications, as for instance in extremely powerful magnets. But the phenomenon of superconductivity defied explanation for a long time. It only became understood in the 1950s. Moreover, in the 1980s, spectacular advances were made in the production of ceramic materials that exhibit superconductivity at much higher temperatures than hitherto believed possible. In 1960, the laser was invented by serendipity. It produces extremely coherent light that can be focused to an unprecedented degree. Lasers have proved to have innumerable technological applications. These include a host of different measuring instruments such as detectors for air pollution, high-speed photography, new mass storage devices for computers (CD-ROMs), surgical instruments of various kinds, and even methods to trap and cool atoms, to name just a few. Perhaps the most pervasive scientific innovation in the last 50 years was inaugurated by research on semiconductors. Semiconductors are crystals which combine properties of electric conductors and insulators. Research into these properties led to the discovery of the transistor effect in the late 1940s. The transistor gradually replaced the vacuum tube and eventually, in the early 1960s, led to integrated circuits (microprocessors) of ever smaller size. Microprocessors had an enormous impact on electrical engineering. Their astounding efficiency and small size gave rise to a host of applications in the most diverse fields. For instance, they gave rise to the development of hearing aides that were small enough to be worn or even implanted in the ear. Although computer design had started earlier this century, the extremely rapid development of ever faster computers with vastly expanded memory became possible with the advent of transistors integrated in microprocessors. Virtually all of today's computing and communication devices are based on this technology. The cost and size of computing power has been reduced by several orders of magnitude. In addition, the design and implementation of the Internet, which connects millions of computers today, allows access to information from all over the globe at an unprecedented level and speed. The magnitude of the potential effects of modern information and communication technologies on society may be comparable to those of the invention of the printing press. Modern computers and computer science have also led to exciting advances within fundamental science, as for example in the areas of artificial intelligence or complexity research (see section 1.3). Another development stemming from semiconductor research was the invention of photo-voltaic cells which can convert light into electric energy. They bring the promise that some day much of our energy needs will be supplied directly by the sun without producing significant pollution. Fifty years ago, it was believed that the universe at large was a rather peaceful place, as our purely optical observations had always suggested. Novae and supernovae were the only events known to release large amounts of energy in a comparatively short period of time. Dramatic scientific discoveries in recent decades have changed this picture entirely. For example, in the 1950s so-called active galaxies were discovered. These galaxies emit incredibly enormous amounts of energy which suggests that their cores are actually exploding. Then, in 1962, quasars (quasi-stellar radio sources) were detected and shown to be the most luminous objects in the universe. While they give off hundreds of times as much radiation as a giant galaxy like our own Milky Way, they are really quite minute objects, which are millions of times smaller than our own galaxy. It has been discovered that some of them are billions of light-years away, and that they must be galaxies with extremely active cores. Shortly afterwards in 1967, pulsars ('pulsating stars') were discovered. Pulsars are stars which emit very short bursts of radiation at astonishingly precise repetition rates. They have been explained as rotating neutron stars which have diameters of only about 16 kilometres and which emit a beam of radiation much like a lighthouse. Their density is so great that a piece of matter the size of the ball on a ballpoint pen would weigh about as much as an ocean-liner, and the rotation duration may be as short as a thousandth of a second. The existence of black holes, which are stars whose matter is even denser than that of neutron stars, was postulated earlier this century. However, indirect evidence of their existence had to await the early 1970s. Black holes are difficult to detect because their gravitational fields are strong enough to trap all of their radiation. In 1964, the discovery of an extremely uniform cosmic microwave background radiation convinced most astrophysicists that the universe has a finite age, and originated out of a giant explosion at the beginning of time some 15 or 20 billion years ago, the so-called Big Bang. All of these innovations were made possible by new observation instruments. Fifty years ago, the largest telescope was a 5-metre optical telescope. Since then, Earth-based optical telescopes have quadrupled in size and even larger ones are currently under construction. Furthermore, in 1990, the Hubble space telescope was sent into orbit. It has provided a host of new information about our universe, as the radiation it collects does not have to pass through the Earth's atmosphere. Over the last fifty years, our own solar system and its genesis have become much better known. Many new satellites and rings around planets have been discovered and the nature of comets has been disclosed. One of the main reasons for this development was the beginning of the space age. In 1957, Sputnik I was launched. Only two years later, the first human artefact reached a celestial object, the moon. In the very same year, the moon was circumnavigated by an unmanned space vehicle that sent pictures of its far side, which had never been seen before by human beings. These missions also confirmed a prediction that had been made a little earlier: that the sun, in addition to its electromagnetic radiation, also emits a stream of particles of varying intensity, the so-called solar wind. This knowledge has proved important because the solar wind influences the Earth's atmosphere. The first manned space flight was accomplished in 1961. From the early 1960s on, communication satellites were sent into orbit, making wireless communication possible all around the world. During the same period, planetary probes were put into space. These are designed to pass near planets and then send back information about them. All of the planets have been reached by such probes, which has increased our knowledge about them tremendously. This would have been impossible by Earth-based research alone, and has indeed led to some amazing discoveries. For example, one of Jupiter's moons has volcanic activity, the first case ever observed away from the Earth. A complicated pattern of radiation belts surrounding the Earth now called the magnetosphere has been detected and shown to be highly relevant to various activities on Earth. Landings on the moon and the planets by probes of ever-increasing sophistication started in the mid-1960s and continue today. Some of them have brought back samples making an in-depth chemical analysis of their composition possible. In 1969, the first man set foot on the moon, only twelve years after the first satellite was launched. Although it is often argued that space research is irrelevant to society's most pressing needs, and that space research is driven merely by national vanity and scientists' curiosity, it is important not to overlook the enormous benefits of such research for people all around the globe, especially in conjunction with technological developments in other areas. One straightforward example is the development of weather satellites, which have become indispensable for tracking hurricanes and other violent storms. While these storms are still potentially devastating, timely warning of their approach has saved many lives and helped to avoid incalculable property damage. Another example are the Earth resource satellites, which have become an integral part of geological data collection and (as the name suggests) provide us with a better means of assessing the Earth's resources. In addition, these satellites supply information about forest and crop growth, and yield other practical information, as for example on the extent of crop diseases. The chemical sciences have made breath-taking advances during the last five decades. They have provided innumerable benefits through an extremely wide range of applications. These include, among other things, new materials, food additives, pharmaceuticals, and pesticides, but also novel analytical tools for the study of living matter as well as the environment. The structures of many molecules were determined and this has provided the basis for their synthesis and also their production on an industrial scale. A notable example are the vitamins: small organic compounds that function as cofactors in many biochemical reactions in the human body. Today, vitamin supplements play an important role in public health, because they can complement deficiencies in the supply or metabolism of naturally occurring vitamins. Other examples are the sulphonamide and the â-lactam antibiotics, which have saved many lives. In addition to characterising and synthesising a vast number of natural products, chemists have also designed compounds de novo. In the 1980s, an entirely new class of organic molecules called fullerenes was discovered. They belong to a hitherto unknown form of carbon. Fullerenes have football- or cigar-like structures. This furnishes materials with novel, very interesting and possibly useful properties. Major progress was also made in the synthesis of tailor-made polymers, composite materials, and ceramics. Some of the latter were shown to be capable of superconduction. Recent advances in supramolecular chemistry have already had an impact on materials design. On the more theoretical side, advances in quantum chemistry, with the help of appropriate computer programmes, has enabled the calculation of electron density maps of molecules, which has greatly increased chemists' understanding of the principles determining the stability and properties of molecules. Thus, some of the chemical properties of molecules can now be deduced starting from fundamental laws of physics. Organic chemistry was instrumental to the great advances in understanding the structure and function of biomolecules. This has had an enormous impact on the bio-medical sciences. For instance, in 1954, the first naturally occurring protein hormone (oxytocin) was analysed and then synthesised. For the first time, it was shown that an artificially produced protein has exactly the same properties as those naturally produced. The synthesis of insulin, a life-saving protein for diabetics, followed shortly thereafter. In 1959, the three-dimensional structure of haemoglobin (the oxygen-transporting molecule that makes blood red) was determined at atomic resolution. Since then, the structures of thousands of biologically important molecules have been described. This knowledge plays an increasingly important role in the development of novel diagnostics and therapeutics. Aided by fast computers, medicinal chemists increasingly use the knowledge of bio-molecular structures to design small compounds with very specific pharmacological properties. Modern biochemistry, a combination of the traditional fields of physiology and pathology with all branches of the chemical sciences, has made crucial contributions both to our understanding of life processes and to medicine. Many of the thousands of chemical reactions keeping an organism alive have been described. Today, biochemists understand how cells can break down sugar and other foodstuffs to generate biologically useful energy in a remarkably efficient way. They have discovered how plant cells use CO2 and the energy of sunlight to synthesise organic material. Furthermore, the causes of many inborn metabolic errors have been discovered by biochemical research, thus providing a basis for diagnosis and therapy. Another breakthrough was brought about by the experiments addressing the fundamental question of the generation of life on earth. In the early 1950s, experiments were performed to explore the genesis of the first organic compounds out of inorganic ones under the supposed conditions of the earth's surface some 3.5 billion years ago. Under the appropriate conditions, it was shown that organic molecules emerged that could well have been the building blocks of early life. Although many of these results are somewhat hypothetical, it has become quite clear that the genesis of life on earth was possible on the basis of physical and chemical principles alone, without the need to invoke supernatural forces. Today, the preferred hypothesis concerning the origin of life on earth holds that life made its first appearance in the form of RNA molecules capable of catalysing their own synthesis. Therefore, chemical evolution might well have led to the first key molecules of life, furnishing the earth with the prerequisites of biological evolution. New knowledge, at the molecular as well as the infra- and supra-molecular level, is growing rapidly. The chemical sciences are also contributing to the environmental sciences. For example, they provide new materials and contribute to the development of new means of crop protection, as well as animal and human health. Towards the end of the 1940s, biochemical evidence accumulated in support of the hypothesis that genes are made of deoxyribonucleic acid (DNA). Genes are the hereditary units governing the biological transmission of traits from parents to offspring in all species. Biologists had already speculated that the key to understanding how genes can transmit biological information from generation to generation must be sought in their molecular structure. Using techniques mainly developed in physics, this structure was uncovered in 1953 and was shown to be a double-helix. Once the structure of DNA was established, the next question was how the cell 'reads' the genetic information stored in its DNA. In a remarkably short time, a small group of molecular biologists cracked the so-called 'genetic code'. This specifies how the sequence of DNA building blocks is translated into a sequence of amino acids, the building blocks of proteins. With a few minor exceptions, the genetic code turned out to be the same for all organisms. Subsequently, the basic mechanisms of protein synthesis were elucidated and shown to involve another previously known form of nucleic acid, namely RNA. This discovery was followed by the isolation and description of the enzymes which copy and repair DNA. Since this so-called 'molecular revolution' in biology, much progress has been made towards understanding the myriad of mechanisms by which a cell's genome directs the biochemical processes allowing the cell to survive, divide, and fulfil specific functions in multicellular organisms. The activity of most genes is tightly regulated by intricate molecular mechanisms. For some very simple organisms like bacteria and bacteriophage (viruses infecting bacteria), these mechanisms are now fairly well understood. The question of how the activity of specific genes is controlled during the development of multicellular organisms (for instance, a fly, a mouse, or a human being) is at the very heart of contemporary research in molecular biology. Remarkable progress is currently being made in this area in laboratories all around the world. In addition to being of primary scientific interest, this research has already begun to provide important insights into the causes of human diseases such as cancer, Alzheimer's disease, and diabetes, to name just a few. Many of the molecular mechanisms which maintain the body's defence against diseases are known today. To mention just one example, in the 1970s after many years of research, immunologists discovered the molecular machinery by which the immune system can make a vast number of different antibodies, each fitted to a specific molecular structure foreign to the body. This kind of knowledge, which continues to grow steadily, plays an increasingly important role in the development of novel therapies. Clearly, this would not have been possible without the preceding molecular revolution. The new molecular biology has also revolutionised areas such as cell biology and neurobiology. Molecular biology has a technological spin-off which quickly became one of the most promising and controversial innovations of 20th century science: the first artificially recombined DNA molecules were produced in the 1970s. This was made possible by the preceding discovery and characterisation of a number of enzymes which cut or chemically modify DNA, most notably restriction enzymes. In applying a set of methods collectively known as 'genetic engineering', molecular biologists can manipulate DNA molecules practically at their will. In vitro recombined DNA molecules can be reintroduced into various species by gene transfer techniques. Species which can be easily genetically altered today include bacteria, yeast, fruit flies, mice, and several plant species. Isolated human cells can also be genetically engineered. Strong ethical concerns exist about introducing genetic modifications into fertilised human zygotes. However, there can be little doubt that it is possible in principle, and that this practice has the potential to revolutionise the prevention of severe genetic disorders. Genetic engineering techniques rapidly became an indispensable tool for biological and biomedical research. Many biological mechanisms are elucidated today by introducing specific changes into individual genes and observing their phenotypic effects. Genetic information is now easily accessible through rapid DNA sequencing techniques. By comparing DNA sequences, molecular biologists gain important insights into the function and evolution of genes. Complete genomic DNA sequences are available for various microorganisms, including several pathogenic bacteria and viruses, as well as yeast. In a few years time, the full sequence of various animal and plant genomes will be available and will provide invaluable information on the biology of these organisms. Finally, the biggest large-scale project in the history of biology, the Human Genome Project, is approaching its completion. Experts estimate that it will be completed as early as in the first decade of the 21st century. The human genomic DNA sequence will be extremely useful to bio-medical scientists for understanding how the human body functions and how diseases originate. However, the Human Genome Project has also raised strong ethical issues. These include the possible misuse of such knowledge, the protection of individual privacy, intellectual property rights, and the protection of universal access to public information. For this reason, the Human Genome Project is accompanied by studies of the potentially far-reaching social consequences the new genetics may have. The possible applications of genetic engineering in biotechnology and medicine are only beginning to materialise. Genetically engineered crop plants have been bred which harbour genes resistant to various plant pathogens. There is an increasing number of therapeutic and diagnostic pharmaceutical products which are made by genetically engineered bacteria. Promising advances have been made in somatic gene therapy, where genetic defects are repaired in certain types of cells or tissues. During the last half century, a vast number of different pharmaceuticals have been developed. The use of antibiotics for treatment of infectious diseases goes back to World War II, but only two were known in 1945. After the war, a host of new antibacterial substances were discovered and systematically improved. Oral contraceptives for women began to be widely distributed in the 1960s, contributing to a dramatic decline in birth rates in the industrialised countries. In the early 1950s, the first systematic trials of adding fluorides to drinking water in order to prevent cavities were performed. Many countries in the world now add fluorides to their drinking water, which has resulted in a tremendous improvement in dental health. Surgical operations thought impossible 50 years ago are now routinely performed. For example, in the 1960s, an arm completely severed from the shoulder was successfully rejoined to the body for the first time. Surgery of this kind depended on advances in optical instruments as they made use of operating microscopes. Surgery on the open heart became possible with the invention of the heart-lung-machine in the early 1950s. This machine could temporarily perform the roles of the lungs and the heart, thus enabling open-heart surgery. The pacemaker was also developed in the 1950s, and coronary bypass operative techniques in the late 1960s. A series of impressive breakthroughs was achieved in the field of vaccination, especially with respect to diseases caused by viruses for which no effective treatment had existed. In the 1950s, vaccines were developed against polio (infantile paralysis), a cruel disease mostly affecting and crippling children. More recently, genetic engineering has led to vaccines against influenza, hepatitis B, and chicken pox, to name just a few examples. Within the last fifty years, transplantation medicine has emerged as an entirely new discipline. This required both the development of novel surgical techniques, and the ability to suppress the immune system's rejection of foreign biological material. New drugs have been developed for this purpose. 1954 saw the first successful kidney transplantation and 1967 saw the first heart transplantation. Various devices have been developed for the replacement of human organs such as bones, blood vessels, joints, etc. All these devices must be built from materials that are compatible with the chemistry of the human body. Many new materials have been developed to match the respective chemical and mechanical requirements. There have been breathtaking technological advances which can provide images of living human tissues. Ultrasound, and tomographic and magnetic resonance imaging have provided novel diagnostic resources, especially by providing three-dimensional images. These advances have dramatically improved physician's abilities to provide preventive health-care, to improve diagnostics, and to prepare surgery. Many forms of cancer can be treated today. A variety of different factors can play a role. Since in the 1960s, radiation therapy and surgery have been supplemented by various forms of drug therapy. Due to progress in molecular biology, molecular medicine began to emerge in the early 1990s. Some illnesses had been identified as related to certain genes, and cures began to be devised on a genetic level. Many features of the immune system that were previously mysterious can now be explained, including its own role in the genesis of certain diseases. In the 1980s, a new kind of infectious biological agent was found and dubbed 'prions'. Prions can cause various diseases in human beings and animals. Bovine Spongiform Encephalitis (BSE, or 'mad cow disease') is the most famous. Their proliferation in an organism does not involve the replication of DNA or RNA, as do all other known infectious diseases. The infectious mechanism is a change in how a protein is folded - a protein produced by the organism itself. Some diseases have been eradicated from the Earth altogether, as for example small pox. Other infectious diseases can now be treated. Infant mortality has continued to decline in the industrialised countries and life expectancy continues to increase. Yet medical science is still faced with many great challenges. Some infectious diseases which were believed to be conquered, like tuberculosis, have returned. This is probably due to the advent of multiple drug resistant forms. Malaria is still one of the most devastating infectious diseases in the world, causing 3.5 million deaths and leading to poverty. Research on different vaccines is currently under way. Moreover, new diseases have emerged, most notably AIDS which has spread since the late 1970s. There is still no definitive cure for, and no vaccine against, AIDS. This continues to be a major challenge for biomedical research. All of these diseases afflict the less developed countries much more strongly than the industrialised world. In the next century, health-care systems around the world face very serious challenges, albeit different in nature. In the industrialised countries, the costs of the health-care systems are growing at an alarming rate. Public health measures such as preventive and community-based approaches, improved food supplies, sanitation and education, affordable medicine, and the use of appropriate technological tools will all have to be implemented in order to provide health-care to large portions of the developing world within a reasonable span of time. Since the 1940s, evolutionary biology has established itself as a major subspecialty within biology. The beginning of this period is characterised by the emergence of the so-called 'evolutionary synthesis' (also known as the 'neo-Darwinian synthesis'). This synthesis forms the first systematic theory of the basic mechanisms of evolution incorporating the principles of modern genetics. While some of the most important theoretical advances (mathematical population genetics) occurred earlier, over the last 50 years, evolutionary biologists have produced an impressive number of successful field and laboratory studies illustrating evolutionary processes and testing specific theoretical hypotheses. By and large, Charles Darwin's revolutionary ideas were shown to be correct. Contemporary evolutionary theory is much richer and more precisely formulated than Darwin's original account. Evolutionary biologists also increasingly use the tools of molecular biology to infer the ancestral relationships of groups of organisms, and to study evolutionary change at the molecular level. In addition, further theoretical progress has been made. Perhaps the most notable examples are the mathematical models borrowed from economics (game theory) which provide explanations for the evolution and stability of social behaviour in animals. These, and other advances, have spawned a whole new area of biological research known as sociobiology. The application of sociobiological theory to human behaviour has proved to be controversial, as it is not yet clear to what extent human behaviour is genetically determined. Concerning the key question of the generation of life on earth, the hypothesis preferred today is that by chemical evolution, RNA molecules capable of directing their own synthesis were produced. Propagation of this molecular evolution then led to the appearance of cells. The oldest microfossils of living cells that have been found are approximately 3.5 billion years old. The emergence of multicellular organisms appears to have occurred relatively late in evolution, at least 2.5 billion years after the appearance of the first living cells. Much is known today about the further course of evolution. For instance, it has been shown that the amazingly rich biological diversity evolution creates has been rapidly depleted on several occasions, probably because of natural disasters such as meteorite impacts. Some biologists argue that this makes evolution a historically contingent process, in other words, a process which could have had radically different outcomes. This appears to be the case because a species' long-term survival appears to be largely accidental. Research into the history of the biological species Homo sapiens has produced a variety of unexpected results, and many mysteries still remain. For instance, there seems to have been another human species which is now extinct, possibly as a result of interactions with modern human beings. On the basis of spectacular fossil findings in combination with greatly improved dating techniques, palaeontologists have provided detailed reconstructions of the phylogeny of hominids (human-like species). The recent recognition that human civilisation is in the process of destroying a substantial portion of the Earth's biodiversity has breathed new life into biological taxonomy. Once biology's flagship discipline, this traditional field has been somewhat neglected during the last few decades, as attention shifted toward the rapidly growing fields of experimental biology (genetics, molecular biology, etc.). But in the 1980s, it was realised that taxonomic skills will be urgently needed to address the depletion of biodiversity, and that such skills are themselves in danger of becoming extinct. A main concern surfacing in this context is the fact that a majority of the remaining taxonomic experts work in Northern countries, and specialise in species living in Northern regions. An overwhelmingly larger portion of biodiversity is concentrated near the equator. In order to monitor attempts to preserve biodiversity and to provide sound policy advice on how to best achieve this goal, more experts familiar with the taxonomy and ecology of various groups of organisms in different parts of the world will be required. The Earth sciences deal with the history of our planet. This kind of knowledge becomes increasingly involved in improving our understanding of the factors controlling the global environment and in developing more effective ways of finding and assessing natural resources, energy, and water. Methods for the prediction of natural events such as Earthquakes, volcanic eruptions, landslides, floods or El Niño have been greatly improved. Furthermore, important insights into the history of the Earth's climate have been obtained through the analysis of sedimentary records or ice cores from Greenland. Such knowledge will be important to disentangle global change caused by human beings from naturally occurring variations in the global climate system. Another important development in the Earth sciences took place in the 1950s, when the theory of plate tectonics was empirically confirmed. Although an earlier version of this theory had already been formulated in the beginning of the 20th century, it was largely ignored because no-one could imagine the kind of forces necessary for pushing continents, or even the giant tectonic plates that supposedly make up the Earth's crust. As it became clear that the solid surface of the Earth is comparatively thin, the idea that this crust consists of a few rather well-separated parts (six larger ones and a number of smaller ones) that are in relative motion became plausible. Molten magma from the Earth's mantle can ooze upwards in-between two plates, thus pressing them apart. The resulting phenomenon of sea-floor spreading was soon to be verified in the Atlantic Ocean. At one stroke, a host of empirical facts concerning geological features of the Earth could be explained. These include the distribution of volcanoes and Earthquakes, as well as the distribution of animals and plants in different continents. Earth science will continue to play an essential role in diagnosing and addressing some of the most pressing challenges, such as climate change and sustainable resource allocation, that the global community faces. Perhaps the most far-reaching insight science delivered in the last few decades is that human beings are a major environmental force on the planet: we inflict irreversible changes on the biosphere, biogeochemical cycles, the global climate system, and the Earth's natural landscapes. While major human influence at the local and regional levels is not a new phenomenon, it is occurring on an increasingly large scale. Moreover, within the last three or four decades, there has been significant human influence on a global scale. As outlined in this section, science has played a crucial role in identifying major global environmental challenges, and will be absolutely essential for devising and monitoring appropriate corrective actions. Three general classes of human impact have been identified: first, human activities transform the land, sea, and air through land clearing, forestry, grazing, urbanisation, mining, etc. Second, they alter biogeochemical cycles of carbon, nitrogen, and water. In addition, synthetic substances are released into these cycles. Third, human action removes and relocates species and genetically distinct populations through habitat degradation or fragmentation, hunting, fishing, and the introduction of species to new environments. The extent to which human beings dominate the planet is increasing. At present, 30 to 50% of the land surface has been transformed by human activity. The carbon dioxide concentration in the atmosphere has increased by nearly 30% since the beginning of the Industrial Revolution. More atmospheric nitrogen is fixed by human production than by all natural terrestrial processes combined. More than half of all accessible surface fresh water is used by human beings. About one quarter of the Earth's bird species have been driven to extinction. Approximately two thirds of major marine fisheries are fully exploited, overexploited, or depleted. A host of synthetic chemicals like chlorofluorocarbons and persistent organic compounds such as DDT or PCBs are released. Most of the thousands of compounds released each year are not even monitored, and their biological effects are not known. As this summary illustrates, human beings profoundly interfere with the Earth's life support systems in many different ways. Many of the effects that this may have on the planet's ecosystems are unknown. Others are only beginning to be understood. It has been suggested that by modifying the Earth's physical, chemical, and biological systems in new ways and at faster rates, human beings are in the process of performing an unique experiment on the planet. At present, nobody knows the outcome of this experiment. However, there can be no doubt that the survival and prosperity of the human race crucially depends on it. Ecosystems provide numerous services on which human prosperity ultimately depends. There are many examples: food, purification of water and air, renewal of soils, detoxification and decomposition of wastes, raw materials for housing, clothing, and medicine, prevention of floods and droughts, and aesthetically valuable natural landscapes. All of these goods and services rely on functioning ecosystems of sufficient size and a sufficient level of biodiversity. The development of novel analytical tools allowing the measurement of various compounds in air, water and soil has been of utmost importance. One difficulty with the protection of ecosystem services is that they are not traded in economic markets. This makes human production insensitive to shortages in the supply of these services which result from environmental deterioration. However, estimates of the economic value of global ecosystem services invariably range in trillions of U.S. dollars. In addition to the changes taking place in the Earth's ecosystems, human societies are being transformed in manifold ways. Inequity among different parts of the world, as well as within national societies, is increasing. New infectious diseases have emerged and spread more rapidly as a result of the increased mobility of individuals. National economies struggle with the globalisation of markets. New technologies are altering communication and the spread of information. There are more democratic governments than ever before. Cultural diversity is increasingly homogenised, altering people's social values, their way of life, their world-views, and religions. The traditional knowledge of many indigenous societies is nearing extinction, as are hundreds of languages. These cultural changes pose additional challenges to the sustainable management of natural resources, and will have to be integrated with environmental and public health policies. Although scientific knowledge played a crucial role in the technological developments that caused deterioration of the environment, it will be necessary to protect and restore natural environments. Research in sciences relevant to the environment, such as ecology, earth sciences, atmospheric chemistry, analytical chemistry etc., has helped us recognise most of these problems in the first place. They will also be instrumental in remedying them by developing novel technologies and better policy advice. Because of the vast amount of fossil fuels burnt in industrialised regions, the concentration of atmospheric carbon dioxide (CO2) is increasing. Although this gas is not toxic, a higher concentration of it in the atmosphere has various effects. First, it absorbs infrared radiation reflected from the planet's surface and thereby heats up the atmosphere (the so-called 'greenhouse effect'). This might cause melting of the polar ice caps which results in rising sea levels, which in turn would then have disastrous consequences for coastal regions, small islands, and low altitude areas. Second, experiments show that plant communities may react strongly to increased atmospheric CO2-concentrations. Although plants need CO2 to grow, more is not necessarily better for them. To stop these dangerous trends, CO2-emissions will have to be reduced significantly. International attempts to achieve this goal were agreed upon in the 1992 UN Framework Convention on Climate Change and the recent Kyoto Protocol. The widespread use of hydrochlorofluorocarbons (HCFCs), mainly in cooling devices, was recently recognised as a major threat to the global atmosphere. Research in atmospheric chemistry showed that such compounds catalyse the destruction of stratospheric ozone. This so-called ozone shield plays an important role in protecting the Earth's surface from solar UV radiation. Further destruction of the ozone shield will substantially increase the incidence of skin cancer. In response to the warnings issued by scientists, most countries have made considerable efforts to reduce emissions of HCFCs. Goals for the reduction of HCFCs have been laid down in the Montreal Protocol on Substances that Deplete the Ozone Layer (1987). This example could serve as a model for how science, in close collaboration with policy-makers, industry, and international panels, can be used to control environmental problems. Since the 1970s, biologists have issued warnings that human civilisation is in the process of destroying the most precious of all natural resources: biological diversity. While human-related extinctions, particularly of large mammals, are known to have occurred in pre-historic times, the current biodiversity crisis is thought to exceed even the great mass extinctions in the history of the Earth (for instance, the mass extinction at the Cretaceous/Tertiary-boundary 65 million years ago, which ended the age of the dinosaurs). The causes of the present biodiversity crisis are fairly clear. Through the destruction of natural habitats, especially the extremely species-rich tropical rainforests, a large number of plant and animal species vanish from the face of the planet forever. Further extinctions are caused by the increasing fragmentation of remaining habitats. Research in population genetics shows that most populations need a certain amount of internal genetic diversity and some exchange of individuals with other populations in order to survive. This gene flow may be insufficient in small, isolated populations. Exact numbers for the rate of species loss are very difficult to produce at present, because many of the vanishing species have not even been described. However, there can be no reasonable doubt that the current extinction rate is alarmingly high. The rapid loss of biodiversity is likely to have severe consequences for humanity. Mounting evidence suggests that ecosystems with less biodiversity are less predictable than ecosystems with more biodiversity. Furthermore, many of the species going extinct are highly valuable for human beings. They perform important ecosystem functions by providing essential resources, and they have aesthetic value. The extinction of a biological species is irreversible, and new species are formed by evolution at a much slower rate than the present rate of extinction. 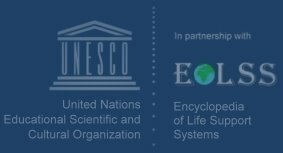 In collaboration with international organisations, scientists have initiated a process which led to the establishment of the UN Convention on Biological Diversity signed in Rio de Janeiro (1991). The parties to this Convention have taken on the responsibility of monitoring biodiversity and of developing means to preserve it. This is an enormous task and will require the establishment of economic incentives for the protection of natural habitats, as well as novel approaches to wildlife and nature reserve management. Scientists have played a crucial role in identifying environmental challenges, in focusing the public's attention on them, and in initiating and advising political processes aimed at overcoming them.